It’s Holiday Mini Session Time! 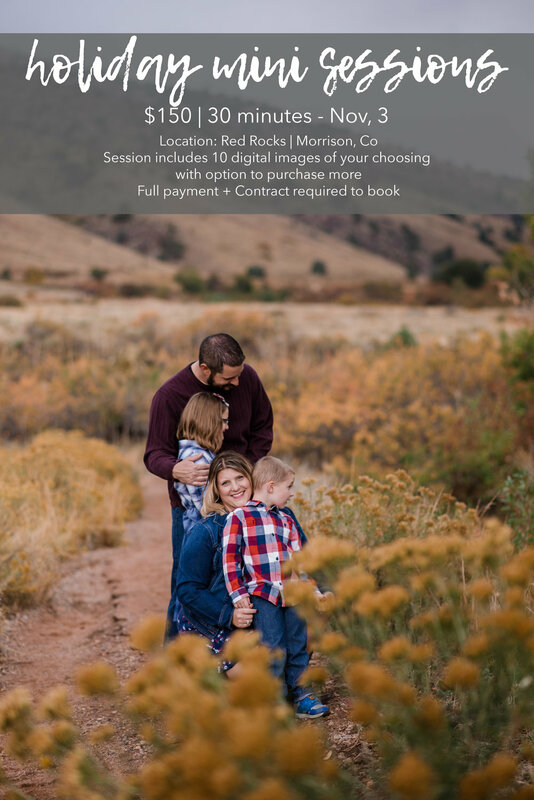 Hang out with your favorite Colorado Family Photographer at Red Rocks in Morrison, Colorado for half an hour and get some awesome updated family photos! Announcement: I have received a TON of holiday session requests so I'm happy to announce that on November 3rd I'll be offering 30 minute mini sessions. These are perfect for holiday photos, updated family photos or any type you'd like during that time!